What could be more refreshing than a cool lemonade on a hot summer day? How about adding a dash of great style while supporting ArtStarts at the same time! 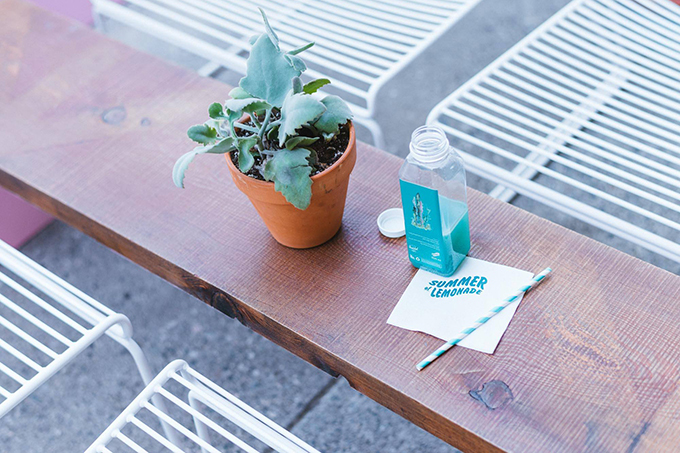 Don't miss your chance to get a fresh squeeze from The Lemonade Stand by Herschel Supply Company this summer. Their pop-up shop opens today in the picturesque waterfront community of Deep Cove, BC, and runs until the end of September. All proceeds from lemonade sales will be donated to ArtStarts. We are excited to be supported by Herschel, a company who embodies a commitment to creativity. Cheers to our common values and thank you, Herschel, for supporting young people. The Lemonade Stand will feature exclusive Herschel Supply products, along with cold-pressed lemonade four ways by The Juice Truck. Proceeds will be donated to support ArtStarts and our ongoing efforts to expand the role of arts in education for the benefit of British Columbia's young people. Refreshing plain and strawberry lemonades are joined by premium flavors that include the antioxidant enriched Blue Majik and toxin absorbing Charcoal. Also available are pop-up themed Herschel Supply Packable Daypacks and Totes, both of which collapse into their own internal pocket for easy storage. So what are you waiting for? 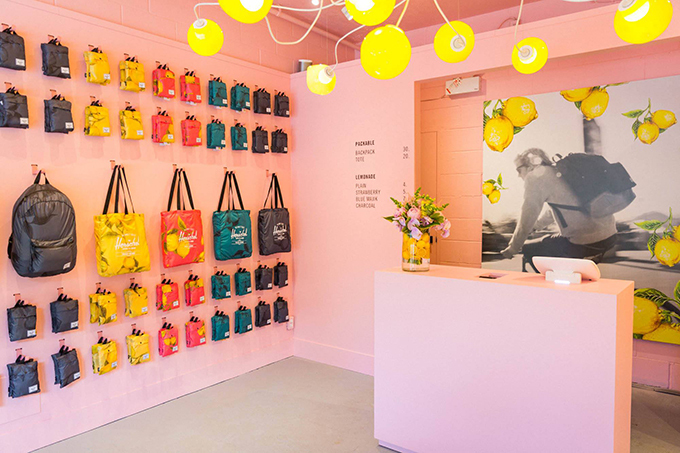 Celebrate summer at The Lemonade Stand by Herschel Supply, located ay 4377 Gallant Avenue in Deep Cove, North Vancouver. 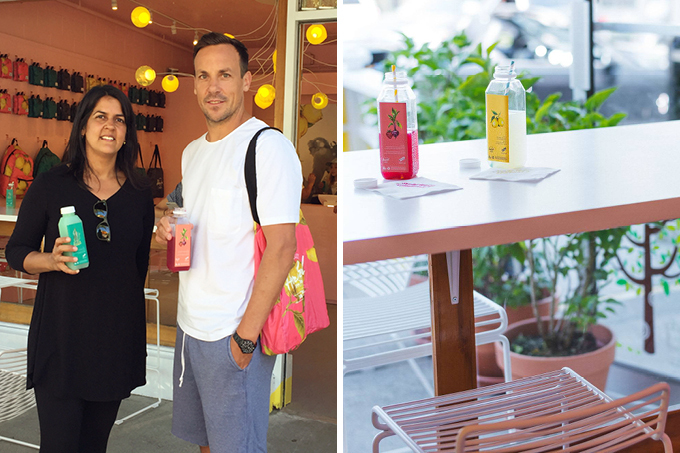 lemonade with Herschel Supply co-founder Lyndon Cormack.